The end of last episode left a lot of people weary if Chinatsu and Tatara would pull of winning this Tournament since they did not practice the viennese waltz. Clearly that was just a ploy by Production I.G to play with people's psyche that perhaps Chinatsu and Tatara would not win. Obviously that did not work for people like me, since there was no way in hell that they were going to end the season with the two of them losing. There were so many homages from the past episodes that were put into well use in this finale. The part that really got me in this episode was at the halfway mark where Tatara starts questioning the world of competitive dance; and the highlight reel began to roll where we see the best moments of Tatara from his starting stages in dance to where he is now. The highlighting of his character development, compounded with the Rise & Fall track from the original soundtrack, made it way too emotional. Just like how Hyoudou alluded that this was just the "start line" for Tatara, there's so much potential for what Takeuchi can do with Tatara's character in future manga chapters/ volumes. I was a bit shocked, from the looks of it, that Tatara's mother seemed to have abandoned him during that highlight reel. 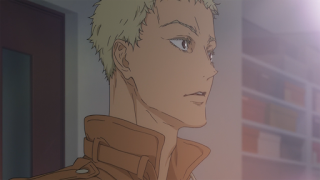 Again, there's so much material to work with in terms of the optics of Tatara. 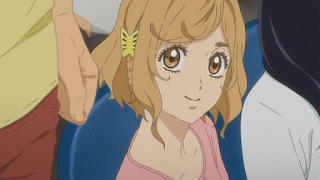 I would love to see how Tatara's maternal side of the family would fit into the plot in future chapters of the manga. Just like how Gaju was able to soften his edges, this episode did wonders for Kugimiya - and that unlikable mould that was biding him shattered. It was a little too much, in a good way, to see Kugimiya genuinely smiling while dancing, and shedding a tear when he snagged second place. 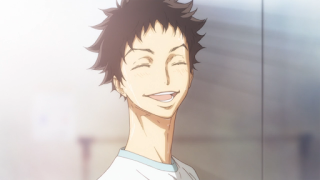 Thanks to Tatara, as well as Idogawa, they were able to make him see the light and understand that he actually enjoys dancing. 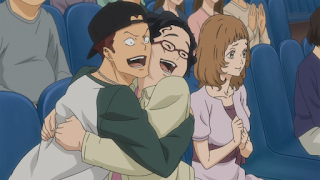 My soul pretty much left my body when Chinatsu kissed Tatara when they found out that they won the Metropolitan Tournament. One because people do not have to lose their minds over the potential that these two could be splitting up. And two because the romance lovers out there, including myself, can sleep well tonight knowing that Tatara and Chinatsu can go further than just being "dance partners." So much joy was exuding from this episode, right down the very last second. 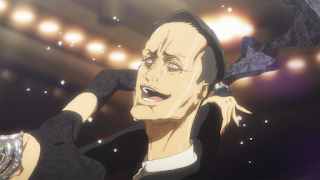 I love the notion that because of Tatara, Hyoudou, Shizuku, Gaju, and Mako were inspired by his win to push themselves further in harnessing their dance skills. And those last few moments in the episode where Tatara was shadow practicing, back at Ogasawara studio - I'm assuming this scene was the same scene we saw in the very first episode where Tatara was shadowing but from a different perspective. 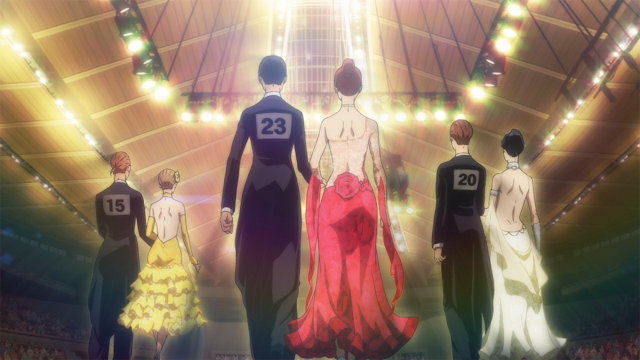 I could be wrong, but if that is how Production I.G chose to wrap up this season than I would say it was the perfect way to cap off the season by showing the relationship between Tatara and Sengoku, who introduced him to the spectacle of competitive ballroom dancing. These are my thoughts on the final epsiode! I wish I could say that there will be a second season, but it looks like there will not be one anytime soon. The anime caught up to the manga, and only the last bit was original content - which was true to Takeuchi's wishes. It might be a while before we see a season two, but either way I can wait! I do not want Production I.G to go onwards with a season two that is not based off the manga. This episode ending off on a cliffhanger looks like the Grand Prix, which is something to look forward to in the future. Anyways.. thank you to everyone who has been following this series on my website, I was hesitant if I should introduce episodic reviews on my website, but glad I went forward with it. I really enjoyed doing these episode reviews/ commentary. I'll continue doing these, but with a different anime when Winter 2018 beings. Fingers crossed that Takeuchi can pull through and pump out volumes of the manga as quickly as possible from here on out!